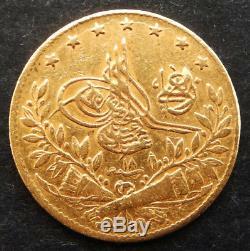 Fine Antique Ottoman Islamic Solid Gold 50 Kurus Coin; 1293/18 AH (1893). Era of Sultan Abdelhamid II. Weight is 3.61g of. The item "Fine Antique Ottoman Islamic Solid Gold 50 Kurus Coin 1293/18 AH (1893)" is in sale since Thursday, January 3, 2019. 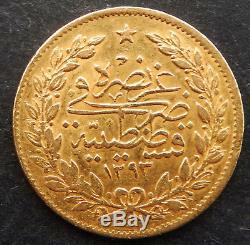 This item is in the category "Coins\Coins\World\Middle East". The seller is "mehdig" and is located in UK.